Analog bar indicator, wide dynamic range, auto/ manual range, fast/ slow response selectable, Max value hold function, A/ C weighting selection, date and time display. 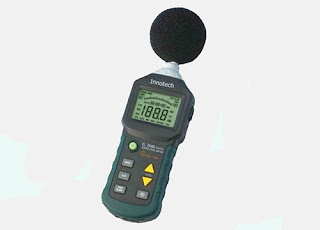 - Measurement range: 30dB to 130dB in 0.1° dB. - Auxiliary output: AC 0.707VRms at full range for each level, impedance 600& .